Each day this week we’ll be sharing the story of one of our amazing volunteers. Today, meet Mike Wernet — a devoted MDA Summer Camp and MDA Muscle Walk volunteer. If you have ever participated in an MDA Muscle Walk event in Southern California, chances are you have encountered Mike Wernet of San Juan Capistrano. 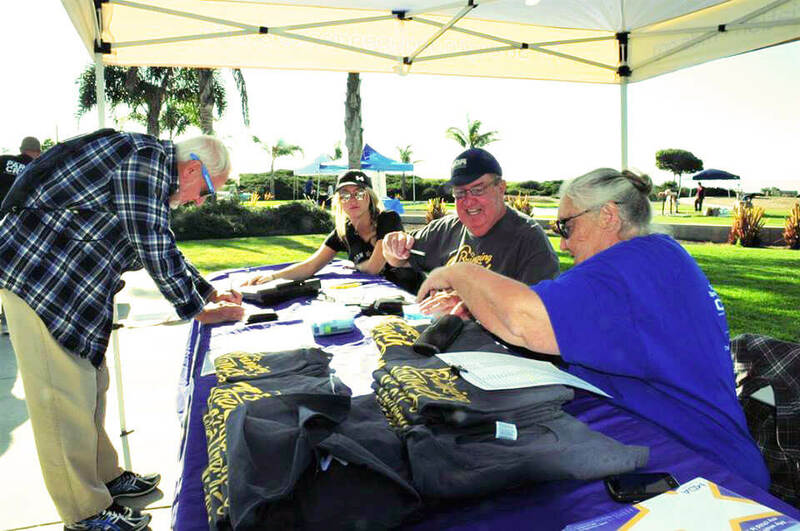 The retired auto mechanic is a mainstay at Muscle Walks throughout the region, having been inspired to volunteer ever since being diagnosed with mitochondrial myopathy in 1996 at the age of 46. Now 67, Mike and his family participate in as many as four walks per year. He has found it a great way to give back to an organization that has played an integral role in not just his own life but also the lives of others. In 1996, Mike was diagnosed with mitochondrial myopathy, a form of muscular dystrophy that affects the mitochondria in cells and that can cause muscle weakness, balance problems and other symptoms. For Mike, the diagnosis came as a shock, but he had a good sense of where to turn next. Since 1996, Mike and his family have participated in numerous Muscle Walks, and in the last year alone they have attended walks in the counties of San Diego, Los Angeles, Orange and San Luis Obispo. Team Wernet consists of Mike, Susie and their family and friends. Although he does not walk in the events himself, Mike is a visible presence on walk day, handling various duties and meeting with Muscle Walk participants. His team also goes above and beyond walking. Although Mike lives with a form of muscular dystrophy, he and his Muscle Walk team are especially passionate about raising money to send kids to MDA Summer Camp. Since 2011, Mike has volunteered at Irvine Ranch Outdoor Education Center in Orange, Calif., and, having served as camp activity director in previous years, has seen firsthand how Summer Camp has a positive impact on kids. Muscle Walk is also a great opportunity to meet other families affected by neuromuscular disease. For Mike, the camaraderie is a highlight of the event. Mike highlights that there are several ways the money raised can be put to work. “Funds can go toward something like Summer Camp or toward research for a certain disease that you or a family member may have,” he says. Get involved with Muscle Walk today!